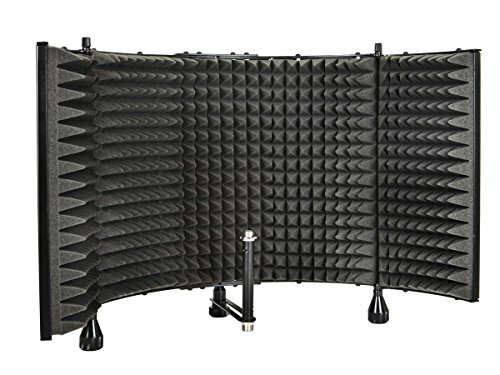 Monoprice Microphone Isolation Shield - Black - Foldable with 3/8 inch Mic Threaded Mount, High Density Absorbing Foam Front And Vented Metal Back Plate | Replicafer Co.
Ambient and reflected sound can be a problem when recording acoustic and vocal tracks, especially in a "live" studio environment. Block unwanted sounds from entering your microphone by using this Microphone Isolation Shield from Monoprice! Dual clamp mount attaches to mic stands or booms upo to 1.25" diameter.